Carrie interviews world-class runner Lauren Fleshman! Lauren and Carrie discuss running, life as a mom/wife/businesswoman/coach/author, and a little bit about their European dancing experiences. 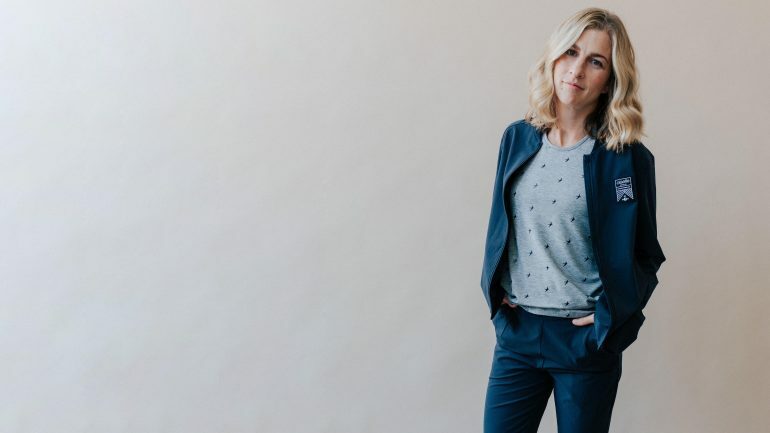 Lauren Fleshman is an influential figure in women’s sports, known initially for her finishing kick on the track, and currently for her multi-faceted involvement in the running community. Whether it’s providing balanced real food through Picky Bars, creating training tools in the Believe Training Journal Series for those seeking inspiration, tackling listener questions on the Work, Play, Love Podcast with her pro triathlete husband Jesse Thomas, representing athlete interests on the USATF Board of Directors, or coaching elite athletes towards their own Olympic Dreams for Oiselle’s pro team, “Little Wing Athletics,” Lauren brings authenticity, experience and passion to whatever she does.